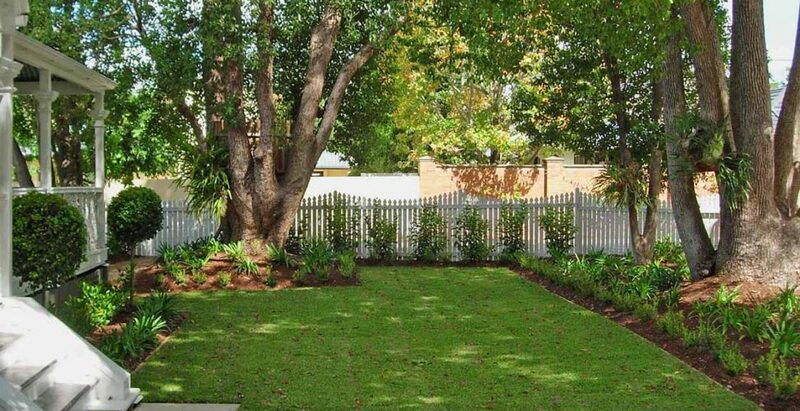 This is a great example of a quick but very effective garden makeover. 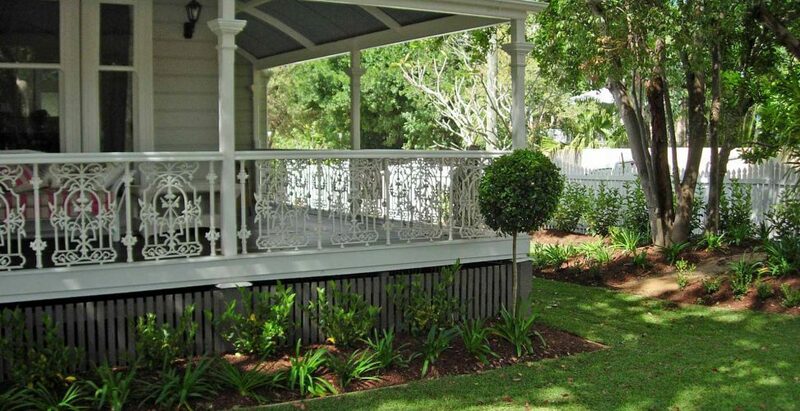 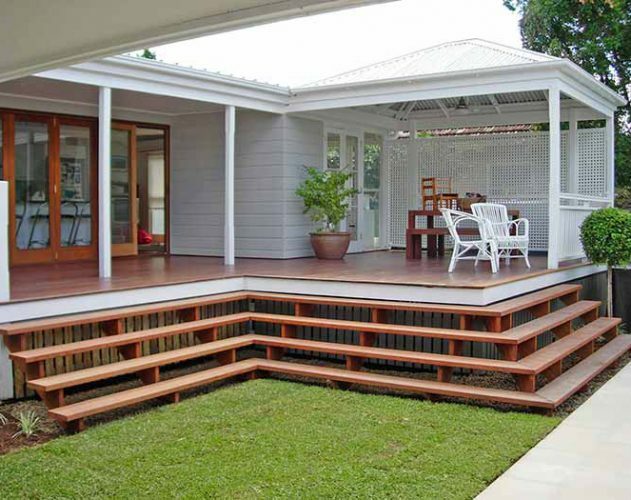 This traditional Queenslander was bought back to life when the client decided to sell the home and the exterior needed a wow factor. 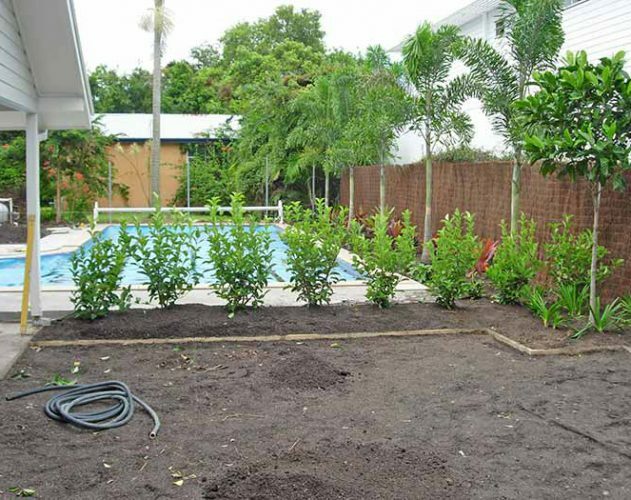 The block was cleared completely leaving only the beautiful camphor laurel trees framing the front of the house. 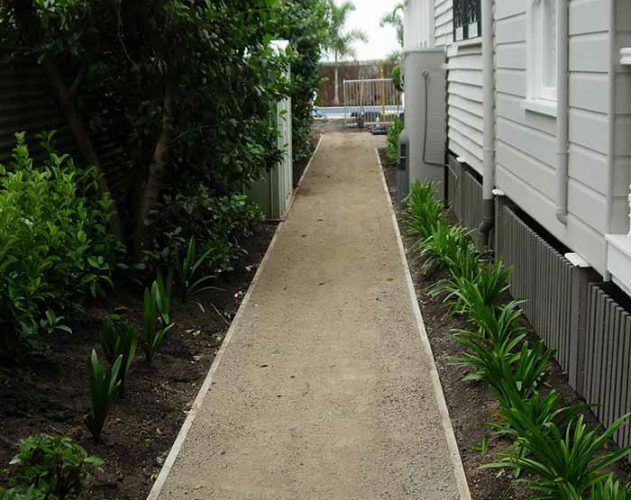 New garden beds were installed to a formal design with a sandstone pathway leading to the front entry flagged with standard lily pillys. 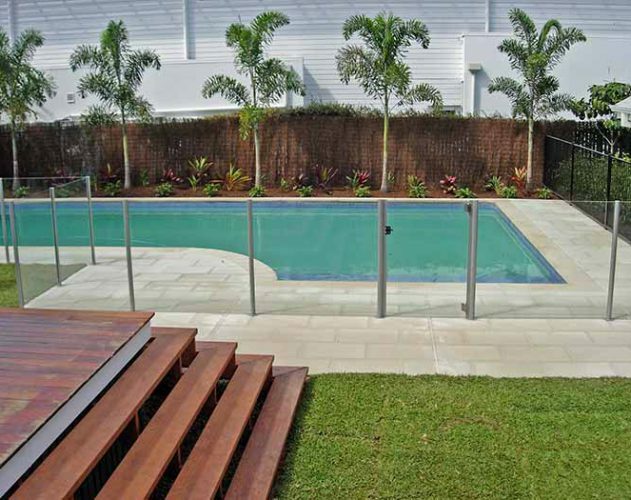 The lawn areas were increased to maximise the sense of open space leading out to the pool at the rear of the property. 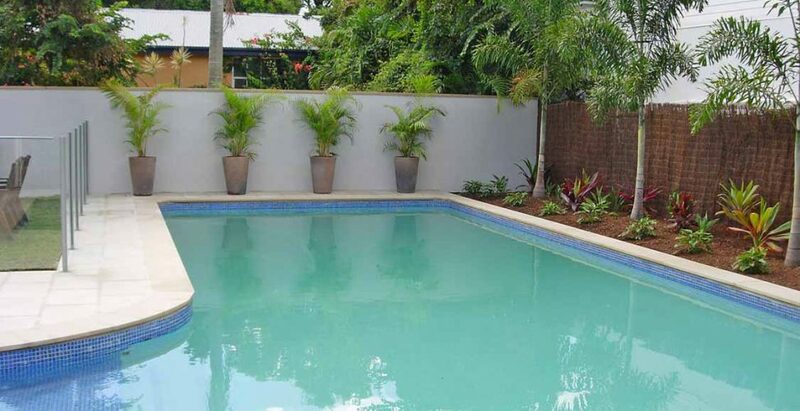 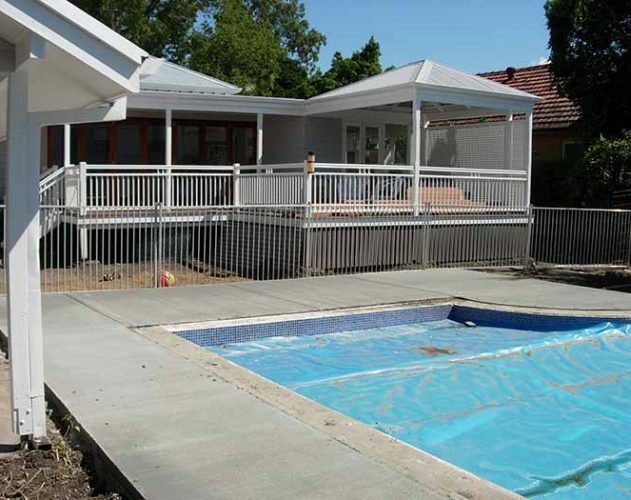 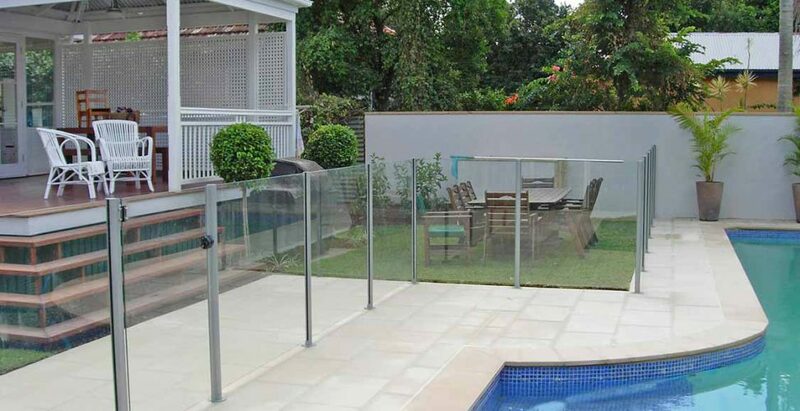 The original concrete pool coping and surrounds were refreshed and modernised with new sandstone paving and a rotting rear fence replaced with rendered screening and feature pots. 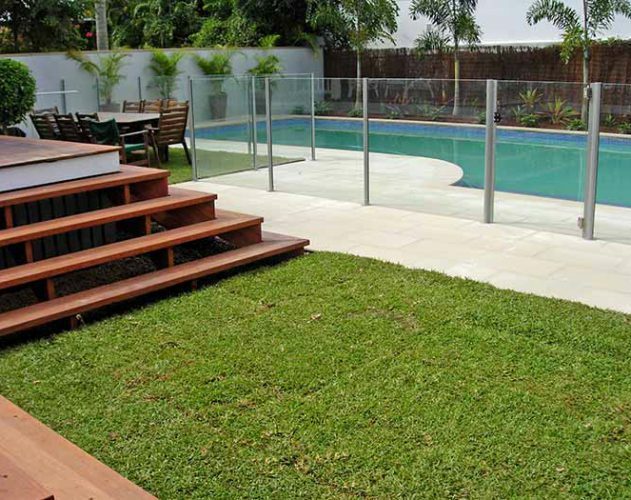 The result is a landscape which has dramatically changed the feel of the property and undoubtedly added value to the sale.